An official design for the e-Christmas card for Meadowhall Shopping Centre has been selected, after much discussion. 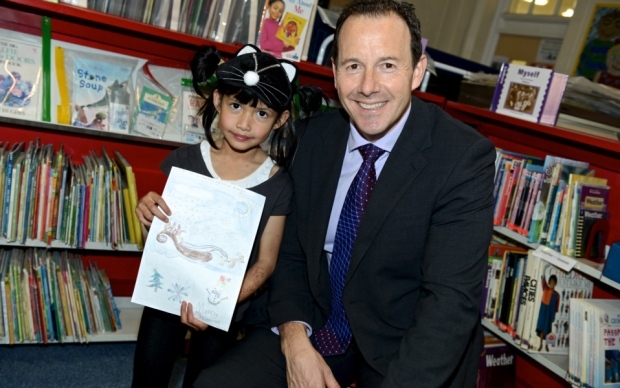 Meadowhall Shopping Centre asked Sheffield schoolchildren to help them design a special Christmas card this year – and they weren’t disappointed with the response that they received. Hundreds of pupils from Tinsley Meadows Primary School, Sheffield, put pen and crayon to paper to come up with their own original Christmas designs, using colour, glitter, glue and all kinds of ideas in a bid to catch the judges’ eyes. Finalists were chosen from each of the infant classes – not an easy job as standards of work were high. But decisions were made, and each finalist received a Toys “R” Us goody bag from Meadowhall Shopping Centre Director Darren Pearce, at a special awards assembly held in the school. The overall winning design that was chosen is by Karmila Salleh and will be used by the shopping centre as its official e-Christmas Card this year. The talented seven-year-old also received a £50 Gift Card to spend in Toys “R” Us at her leisure. Karmila’s design shows Father Christmas speeding across the wintry sky in his reindeer-driven sleigh, with a Christmas tree, a snowman and a cheery festive message written at the lower end of the card. Mr Pearce said: “We really enjoyed looking through all the designs but it was incredibly hard to choose the finalists, let alone the winner! PUPILS who are on a Time Team type mission to uncover the historic foundations of a medieval manor under their Sheffield school took a further step into the past to learn how to create the archives of the time. Tinsley Meadow Primary School has been working with Wessex Archaeology to uncover the medieval Manor Lodge – which once stood on the site of their school playing fields. During the Middle Ages the manorial system was a central feature of social and economic life. And it was during this time that detailed records – called the Court Rolls – started to be made about all the workings of such a society, including how petty crimes were dealt with. 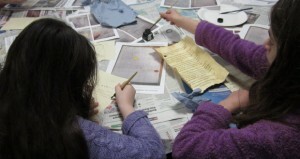 And last Saturday the pupils and other young people from archaeologist clubs across the region, recreated these medieval documents – from Sheffield Archives Court Rolls of Tinsley – just like the Lords of Tinsley had done, hundreds of years before, writing with old style quill pens and wax sealing the documents they produced. The Heritage Lottery funded project, Exploring Tinsley Manor was one of the highlights of this year’s South Yorkshire Archaeology Day, which saw over 200 archaeology enthusiasts come together to celebrate the latest projects and discoveries in the region. This year’s event hosted a range of talks, exploring whether Wortley Tin Mill really used tin, to the origins of prehistoric activity on Sutton Common. Civic Mayors from all four South Yorkshire authorities attended, along with professional and volunteer archaeologists. The Tinsley project was born after a teacher at Tinsley Meadow Primary school realised it was built on the site of the Old Manor House, which was demolished in the 1960s. In partnership with Wessex Archaeology, pupils from the school have spent the last two years uncovering the old foundations and exploring the rich history of Tinsley. South Yorkshire Archaeology Day will be back in November next year – to secure your place, join the mailing list with the South Yorkshire Archaeology Service by emailing: syorks.archservice@sheffield.gov.uk. Meadowhall shopping centre has unveiled which flavour has scooped top award its first ever Yorkshire flavoured ice-cream challenge. Working with award-winning ice cream maker Our Cow Molly, they enlisted the help of hundreds of its customers in centre and via social media to come up with a unique limited-edition flavour. With suggestions covering everything from Wakefield Rhubarb, East Yorkshire Lavender to Sheffield Real Ale, six flavours were created and put to taste panels for the final verdict. And the winner, rising to the occasion was Yorkshire Pudding with chocolate gravy, and runner-up – Tea and Biscuits. The Yorkshire pudding recipe was put forward by 11 year old Tinsley Meadow Primary School pupil Andrea Hadova who has also been down to the centre to try out her own creamy creation. The full list of final flavours up before the judging panel were: Yorkshire Honey, Pontefract Liquorice, Tea & Biscuits, Wakefield Rhubarb, Parkin and Yorkshire pudding with Chocolate Gravy. The final winning flavour coincided with National Ice Cream Day and the opening weekend of Meadowhall’s Summer Beach, the open air attraction outside Meadowhall’s Oasis entrance is offering fun in the sun for everyone during the school holidays. Yorkshire pudding-flavoured ice cream, anyone? Young taste testers from a Sheffield school have taken on an ice-cold challenge as they get set for summer in South Yorkshire. 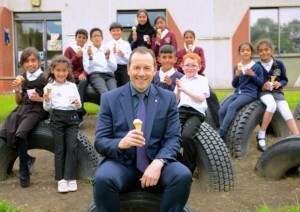 The youngsters at Tinsley Meadows Primary School were recruited to find the ultimate Yorkshire-flavoured ice cream for the city’s Meadowhall Shopping Centre. In partnership with Sheffield ice cream brand Our Cow Molly, from Dungworth, the centre laid on an array of different flavours for the children to try – including Yorkshire honey, Pontefract liquorice, tea and biscuits, Wakefield rhubarb, Parkin, and Yorkshire pudding with chocolate gravy. The young judging panel will reveal their favourite flavour – which will be available exclusively at Meadowhall while stocks last – next Saturday, the day before National Ice Cream Day on Sunday, July 19. Emma Huntley, the school’s executive business manager, said: “We started the relationship with Meadowhall a few months ago. “We are working with them on the Urban Beach Project and asked if the children could get involved in designing ice cream. “The brief was to make them as wacky as they could with a Yorkshire theme. Children were delighted to be involved in sampling the different flavours, with tea and biscuits proving a hit. Darren Pearce, centre director, said: “We didn’t know what the end flavour would taste or even look like, but wanted to reflect something of Yorkshire. The big reveal will take place at the opening weekend of Meadowhall’s summer beach zone, an open-air attraction outside the Oasis food court. Some 116 tonnes of sand are being shipped in for the 7,000 sq feet beach, while a ‘beach shack’ will act as temporary home for entertainment and musical activities. Each week of the summer holiday will see different activities taking place, including visits by children’s characters such as Peppa Pig and Fireman Sam. There will also be sports challenges, beach art and craft sessions, a treasure hunt and traditional seaside games. 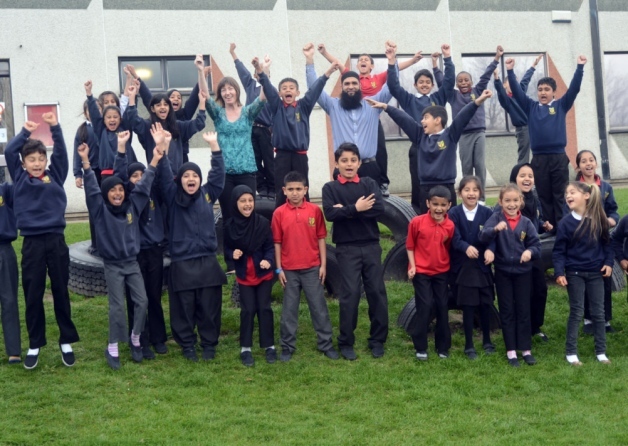 A Sheffield headteacher has praised her staff after the school was awarded a £5,000 boost in recognition of the work they have done to improve the attainment of disadvantaged pupils. 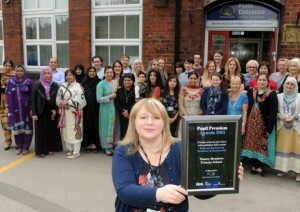 Tinsley Meadows Primary won the money at the Department of Education’s Pupil Premium Awards ceremony in London for its key stage two results. The school was named as a regional runner-up in the primary school category and was among four in South Yorkshire to win funding at the awards. Headteacher Becky Webb held a special celebration to thank staff for their hard work and dedication. She said: “It is really great that Tinsley Meadows Primary is being recognised and that the whole team has been recognised for the dedication they have put in to support children in the community. “It was nice to get recognition at the regional level and it really provides a boost to the team. “They work really hard and are so dedicated. This has given us extra energy to carry on making the difference. The Pupil Premium Awards reward schools which are able to provide evidence of effective strategies to improve the achievement of disadvantaged pupils and show sustained improvement in raising their attainment. 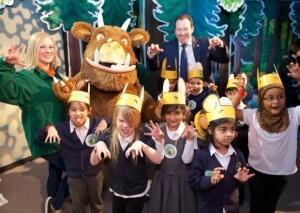 Meadowhall has welcomed a VIG – Very Important Gruffalo – to the Sheffield shopping centre. 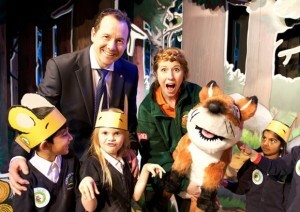 The Gruffalo Experience was officially opened by children from Tinsley Meadows Primary School and is set to run throughout the Easter break. The class of five and six-year-olds enjoyed a fully interactive experience during their 45 minute journey through the attraction where they got to meet the Gruffalo face to face and interact with the all characters. Centre director Darren Pearce said: “This event has been months in the planning so it’s fantastic to see it all come to life at Meadowhall. Hundreds of fish hatched from eggs in classroom aquariums have been released into the wild. Brown trout raised by 160 children from three primary schools were placed into the River Don in Sheffield. Hellen Hornby, of the River Stewardship Company, said the children had nurtured the fish over several weeks. Around 400 fish will be released over the course of the conservation project, which aims to educate children about urban wildlife. Four to 10-year-olds reared the fish from January to March, feeding them daily and monitoring water conditions. The fish have been released into the river near Tinsley and Meadowhall. Usha Blackham from Whiteways Primary School said it was “fantastic for the children to learn the change from egg to living thing”. Tinsley Juniors and Brightside Nursery and Infant School were also involved in the project. In 2013, the River Don opened the first “fish pass” in the river for more than a century, allowing trout and eels to swim over a previously impassable weir to spawning grounds. Fish have been returning to the River Don over the last 30 years because of huge improvements in water quality. Grayling, barble, chub and dace are among other species also found in the River Don. 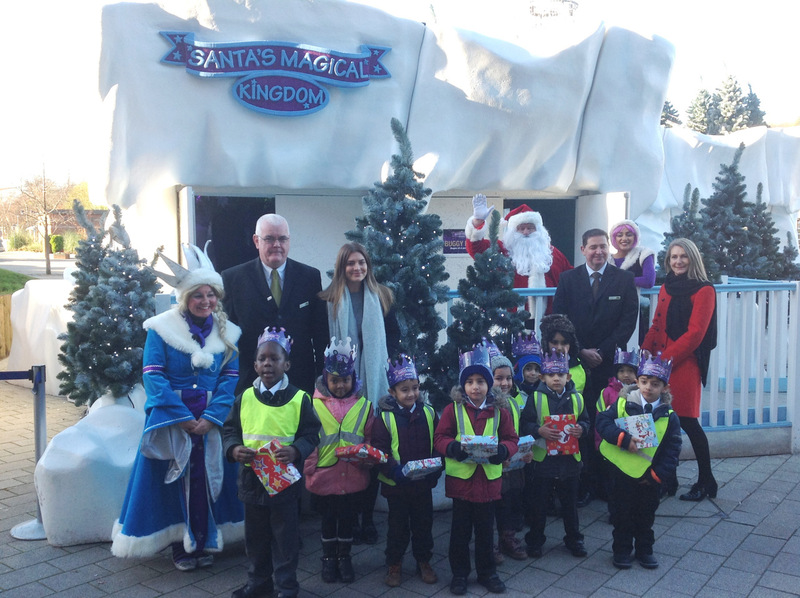 Santa Claus welcomed excited local pupils for a festive treat at Meadowhall Shopping Centre as they enjoyed an extraordinary trip around his enchanting new abode for the Christmas period, his Magical Kingdom. More than 70 delighted youngsters attended the exclusive event as part of Meadowhall’s ongoing local community partnership with Tinsley Meadows Primary School which is located just one mile from the Centre. The elves within the sparkling snowy attraction gave a special experience to the FS2 children from Tinsley Meadows Primary School before Santa presented each of them with their very own individual gift and they had a unique photo with the big man himself. Throughout 2014, Meadowhall Shopping Centre has worked closely with a number of schools within the local community to offer both entertaining and educational visits for the pupils. Earlier this year, the Centre invited five schools, including Tinsley Meadows, to attend a series of interactive reading events in support of the Young Readers Programme; a national initiative to encourage school children across the UK to develop a love of reading. Meadowhall’s Centre Director, Darren Pearce said: “We had a lovely morning with the children from Tinsley Meadows School and it was a pleasure to see their faces light up as the made their way through the grotto to meet Santa. Santa Claus will be at Meadowhall until Christmas Eve at his Magical Kingdom which is located outside the Oasis Dining Quarter entrance. This year’s grotto has fantastic interactive elements for children and families to enjoy whilst they make their way through to meet Santa and is complete with penguins and ice princesses. Tinsley Junior School on Bawtry Road in Tinsley, Sheffield, has jumped from a ‘satisfactory’ to ‘good’ rating in less than a year since its previous inspection. 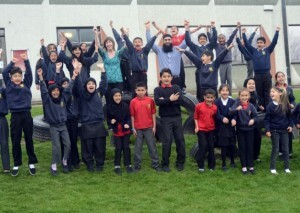 The school is now shouting about its triumph after education watchdog Ofsted published its latest report on the school. Pupils were praised for making ‘good progress’ to attain broadly average standards in English and maths, from a lower than average starting point. Teaching was in some cases ‘outstanding’ with classrooms run well and staff having high expectations of pupil behaviour. Headteacher Rebecca Webb said everyone at the school had been working hard to improve. She said: “We are really pleased. In a very short period of time we have managed to move from satisfactory to good and the inspectors commented on a number of areas that were exemplary such as our safeguarding and curriculum. “There has been a lot of change across the school. A huge amount of work has gone into teaching and learning and all areas of the school have been improved. “It’s been hard work but there has been a lot of commitment from the team. Pupil behaviour, which has improved over the last two years, was praised in the report, as was a significant jump in attendance as well. The leadership of Ms Webb – who joined the school two-and-a-half years ago – was described as ‘central’ to the good improvement. Tinsley’s governing body was also hailed as ‘ambitious’ and involved in helping the school move forward and progress in its achievements. The school was not yet outstanding as some pupils lacked accuracy in constructing sentences, did not have a thorough understanding of some key maths vocabulary, and there were not enough opportunities for pupils to work things out for themselves, according to the report. Visit www.ofsted.gov.uk/inspection-reports/find-inspection-report/provider/ELS/107032 to read the full Ofsted report online. Two days of effort have transformed a neglected area at a Sheffield primary school into a memorial garden in tribute to a former pupil who died suddenly. The work at Tinsley Junior School (now Tinsley Meadows Primary School), Bawtry Road, was carried out by a six-strong team of volunteers from distribution company DHL, which has close links with the school. The garden was officially opened by Mafood and Zahora Asghar, parents of former pupil Ehtesham, who died last year, aged seven, from a brain tumour. 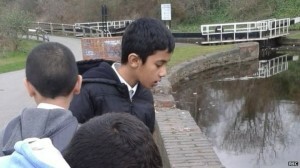 The area has been named the Ehtesham Asghar Peace Garden in the youngster’s memory. A rose bush was also planted, his favourite flower. Alison Brunt, school administration officer, said DHL had previously helped buy furniture for the school and funded trips for pupils to Scarborough and York. She said: “They wanted to get involved in a new project and we thought of the garden, which is a little quadrangle in the middle of the school. “It had become very overgrown and unkempt, and full of rubbish too. “The DHL staff came from as far as London and Edinburgh to work on the garden – and it was cleared in just two days. “Rubbish was removed, the flagstones cleaned, the shed painted and large planters put in. A competition was also held to redesign the garden, with three prizes on offer for the best ideas. Ehtesham’s brothers also attended the event, which included a service and a dedication ceremony. Alison said DHL was keen to take on community projects. She said: “They have done such a fantastic job. Every pupil at a Sheffield primary school will go on a trip to the seaside thanks to a £6,000 donation from a construction firm. 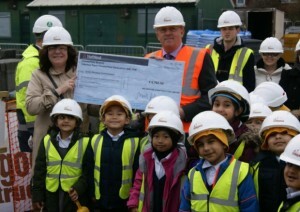 Wildgoose Construction has donated the cash to Tinsley Meadows School in Tinsley. It will be used with a donation from Meadowhall to pay for 590 pupils to visit Whitby or Scarborough on an educational trip this summer. For some youngsters the visit will be their first to the coast. The children will take part in activities linked to their trip before and after it takes place and will focus on making safety posters, investigating cliff erosion and how tourism affects the towns. Parents and members of the local community will be invited to a special event to view a display about the seaside trips, which will include photographs. Wildgoose is re-modelling a community centre and adding an extension to create a new £6 million school campus.